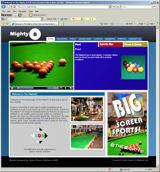 The Mighty8 is the premier Pool Club and Sports Bar in Ross-on-Wye. Quality pool & snooker tables together with a fully licensed sports bar with ‘big-screen’ live sports TV. 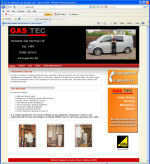 Gas tec Domestic Gas Services Ltd.
Gas tec is a family run business that has been operating in Ross-on-Wye for over 25 years. Gary Downs established the business in 1984 after he had been working for British Gas for several years. His wife Angela runs the administration side of the business and their aim is to provide their customers with a friendly and professional service. The Kings Head Hotel is situated in the picturesque Herefordshire town of Ross-on-Wye.